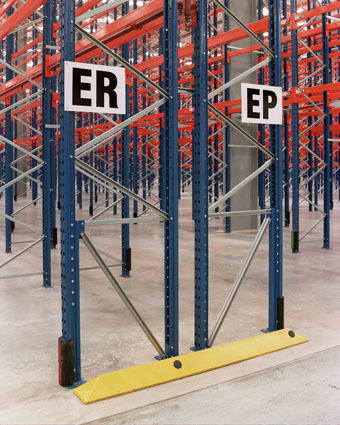 What types of pallet racking are there? 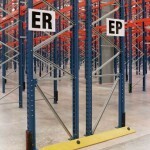 What types of pallet racking are there ? 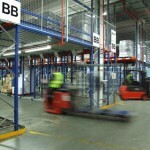 There are many types of pallet racking systems including the standard bay type when normally 2 No. 1200mm wide pallets are fitted onto a 2700mm long beam with the 1m depth of the pallet sitting into the bay which is normally 900mm deep with a 50mm overhang each side. Heights can vary from low level 2m up to 15m high. There are also narrow aisle pallet racking systems where the aisles are normally set at say 1.5m which maximises the cube of a warehouse and specialist narrow aisle trucks are used. The aisles can be wire guided so the fork truck will follow the wire guide so as not to damage the racking or guide rails can be used as an alternative method. The narrow aisle can also be regarded as high bay pallet racking because normally the bays are fitted into high bay warehouses. 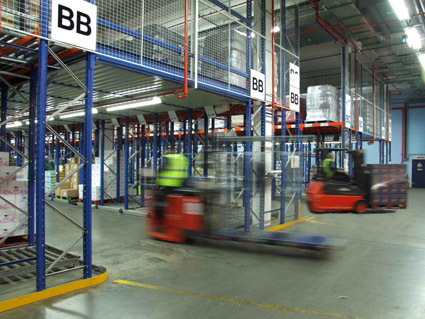 Another system to maximise space is drive-in racking which is based on deep lanes so that a standard type pallet can be fitted, therefore saving the requirement for aisles and thereby saving space. These systems can vary in depth and height and the pallets fit onto stub arms which allows the fork lift truck loading the pallets to drive into the bays to load the pallets. Pallet racking can also be fitted onto mobile bases which are normally electric, again standard bay sizes and this system again allows the saving of aisle space.